Why Americans don't use all days off Jump to media player This year four in 10 Americans do not intent to take all of their holiday time in fear of losing their job or because it isn't encouraged. Video of police shooting dead unarmed man Jump to media player Newly released police videos show what happened in the Los Angeles suburb of Gardena when officers shot and killed an unarmed man in 2013. 'Sorry, that's not GDP!' Jump to media player BBC News explains how your daily activities can influence the calculation of GDP, or Gross Domestic Product, a key economic indicator. 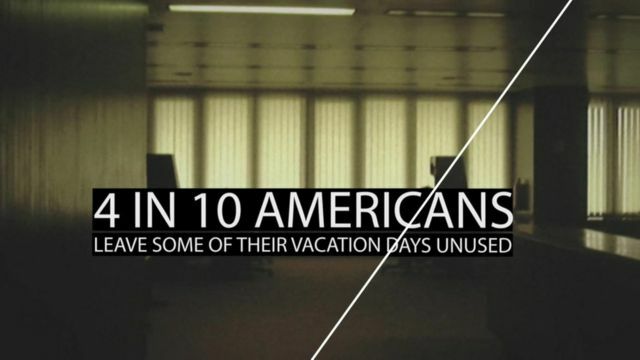 Why do Americans not take their holiday time? It's well known that people in the United States on average don't receive as much holiday time as their European counterparts. Studies show 25% of Americans do not receive any paid leave at all, and those who do rank behind their European counterparts. But what may be surprising is that US workers are also less likely to use the holiday time they do receive. This year four in 10 Americans do not intend to take all of their holiday time, partly in fear of losing their job or because it isn't encouraged by their employer. This video is part of the BBC series Summer in the City. Tell us how you use (or don't use) your holiday at summerinthecity@bbc.co.uk or tweet using the #BBCSummerCity hashtag.